Deep within the Peruvian Andes, Cusco, Peru once hailed as the capital of the Incan Empire. Today, Cusco has grown famous for its archeological remains and Spanish colonial architecture. People from around the world flocking to visit. To please these visitors, Cusco restaurants serve up plenty of both local and international options. The variety of foods available in the city make deciding where to eat in Cusco challenging. 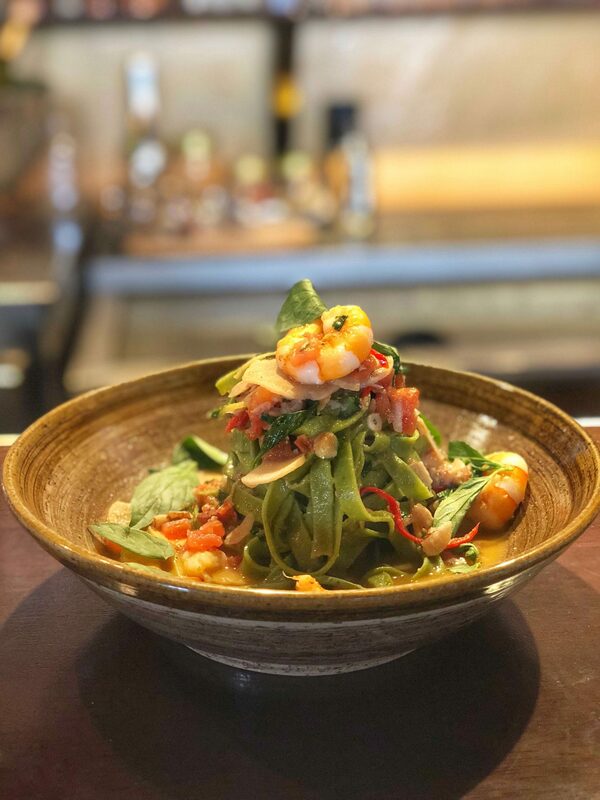 Here, you can find everything from Peruvian cuisine to Italian restaurants, fine dining and even one of the best vegan restaurants I’ve ever tried. 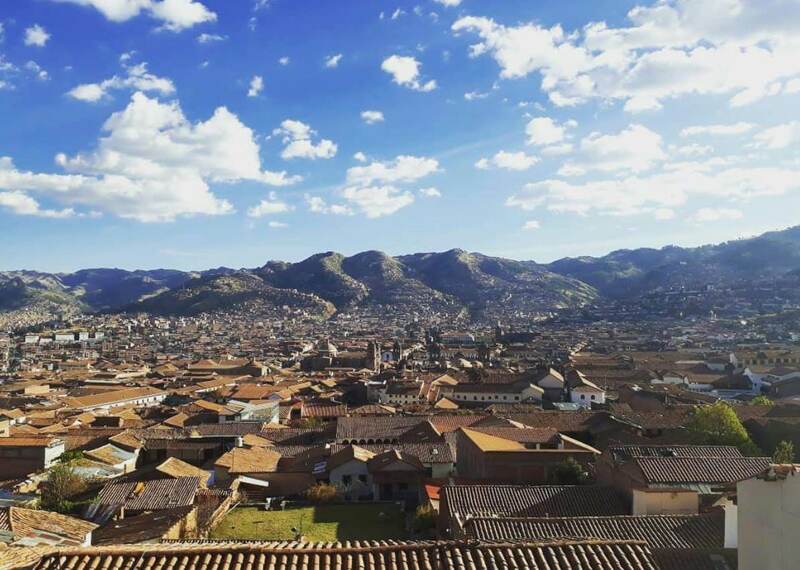 Read on to discover my favorite places to eat in Cusco, Peru! The Limbus Restobar is one of the most popular locations among the locals. With a fun, contemporary feel and impressive list of innovative cocktails, you will not leave disappointed. The passionate owner founded the bar in 2013 because he enjoyed mixology and wanted to combine it with his love for Peruvian cooking. In addition to the great menu and quality service, Limbus also boasts what many consider the best view of the city—totally worth the climb up to check it out for yourself! Green Point is extremely passionate about producing high quality vegan food. They believe living vegan should not require you to give up taste and quality when you’re dining out. Even though I’m not vegan myself, I loved their menu. In fact, Green Point is one of the first restaurants in Cusco I recommend to friends visiting. 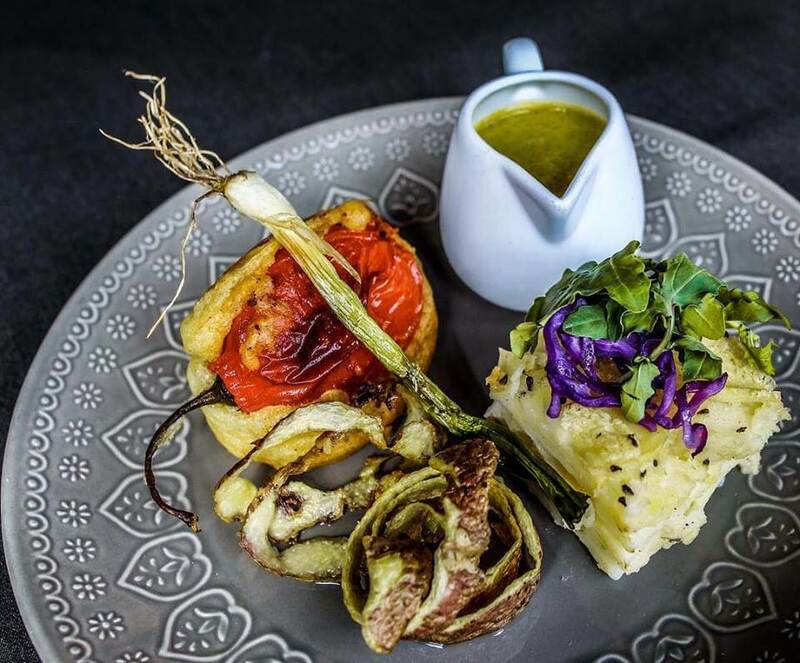 Green Point offers a wide range of delicious food free from animal products, including vegan versions of Peruvian dishes such as rocoto relleno and chaufa. International cuisine includes burgers, pizzas and pastas, Mexican, Thai and Indian dishes. The bread used in their dishes is all baked in house, and all their sauces (except for the soya sauce) are completely homemade. For those with other dietary restrictions, they offer several gluten free dishes and have become known for their vegan desserts and craft cocktails. 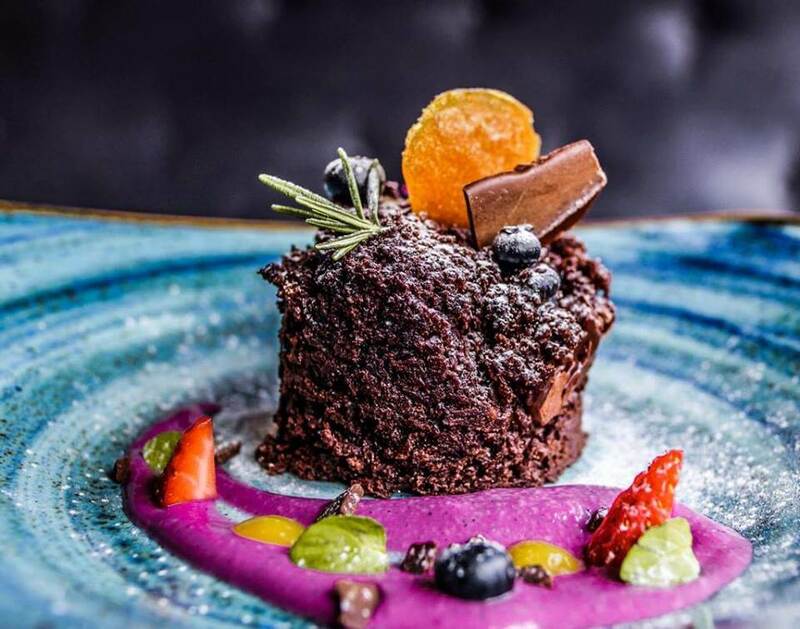 Located in the heart of ancient Cusco, the bright and modern Morena Kitchen offers a wonderful journey through Peruvian flavors with a real contemporary twist. Favorite dishes include the grilled Andean trout, the Bestia burger and the El Duo. This one combines two of my favorite local dishes—arroz con mariscos (rice with seafood) and ceviche. Conveniently located near to the central square, you can’t go wrong with a meal at Morena Kitchen. 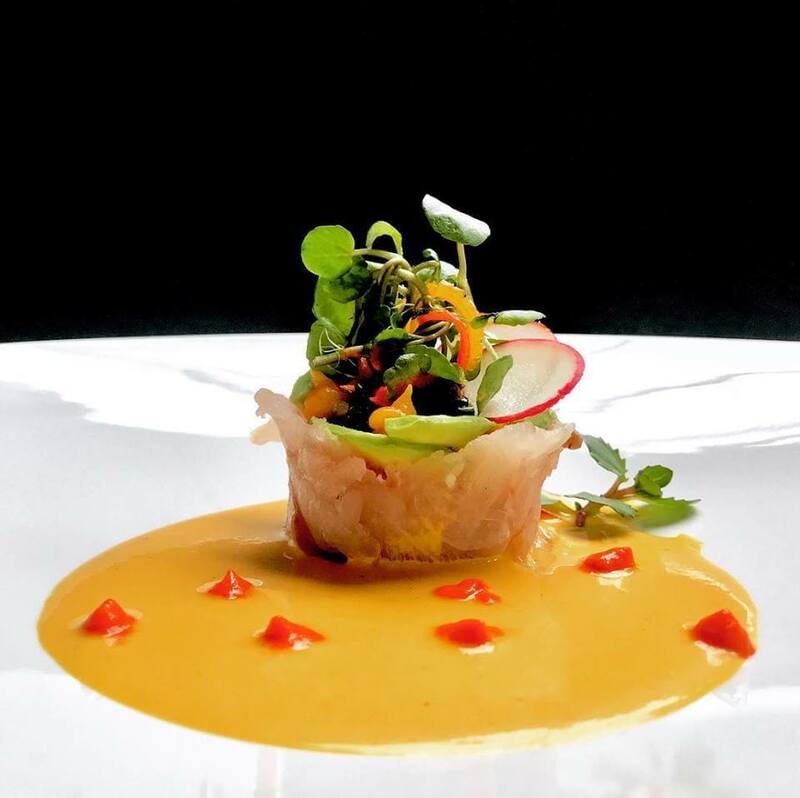 Jardin Orgánica is known for crafting delicious, organic dishes with daily deliveries straight from their own garden. This makes it a true farm to table restaurant. Their versatile menu includes options for vegans, vegetarians, and meat-eaters alike. Look for the lentil burger, four-cheese salad and trout ceviche. Or, go for the alpaca sandwich if you want to try something truly local! I also loved their dish presentation. Edible flowers decorated nearly every dish and cocktail that came to the table. Per.uk has a menu diverse enough to satisfy any diner. 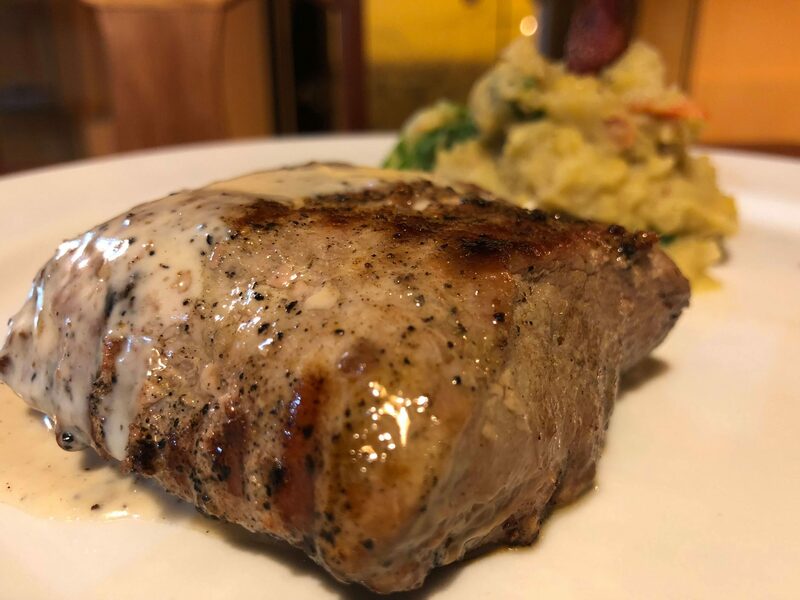 Known for their especially delicious rendition of steak and risotto, other offerings include grilled octopus with pesto pappardelle, a grilled rack of Mediterranean lamb, pepper steak or grilled alpaca in either a green molé or blue cheese sauce. Also, this is known as one of the better restaurants in town to try the local special cuy (grilled guinea pig). Their gluten free and vegetarian options mean there is something for everyone. But, be sure to save room for dessert. 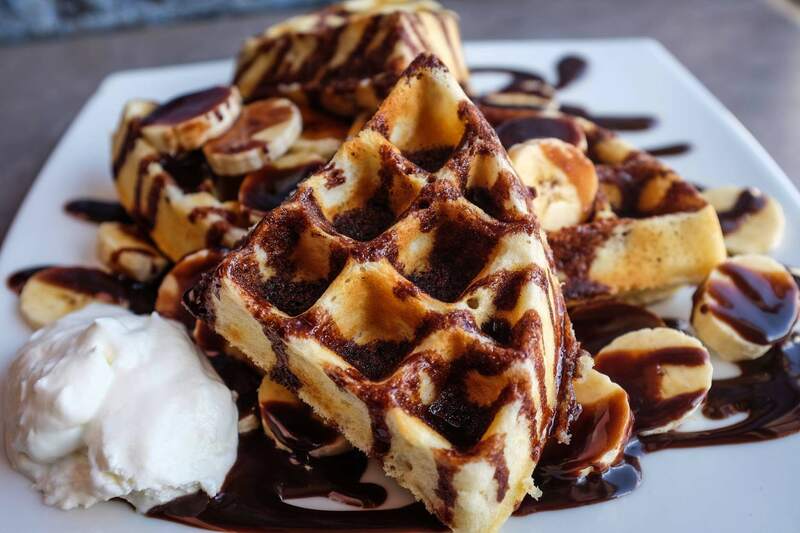 Their dessert menu features a vegan chocolate mousse and a pineapple carpaccio that’s flambéed with pisco, caramelized with brown sugar, and then served with vanilla ice cream and pecan praline. 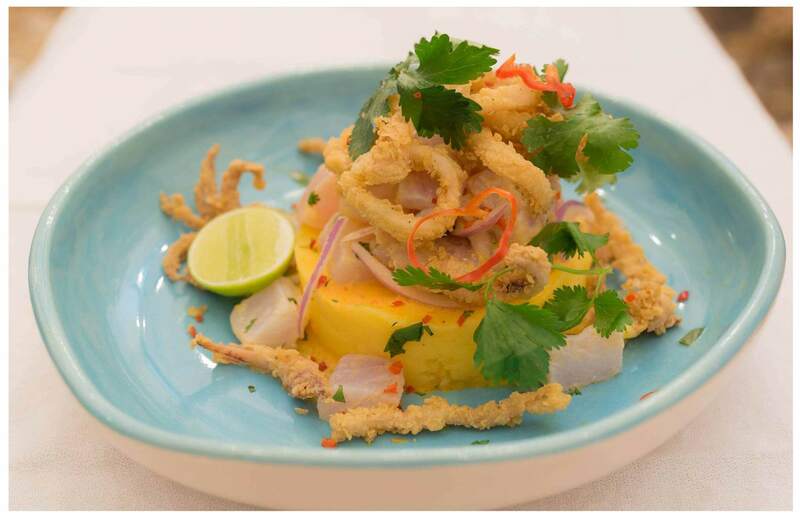 Fallen Angel is an authentic, high-end restaurant that serves up traditional, everyday Peruvian dishes. They treat their plates like works of art, much like the art that adorn their restaurant walls. The interior is decorated to match the “fallen angel” theme. It is quite spectacular. Be sure to try the pollo primavera, red tuna tataki with an infusion of yuzu and asiatic citrus, or roasted fish dishes. 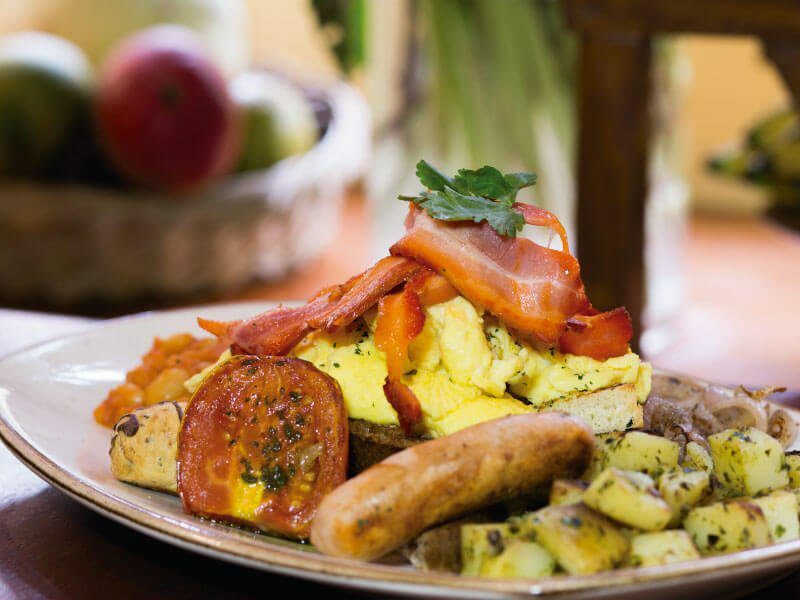 Cusco has many great restaurants, but none specialize in breakfast quite like Jack’s Café. This popular hangout for travelers has Australian roots, but they focus on serving American-style food. 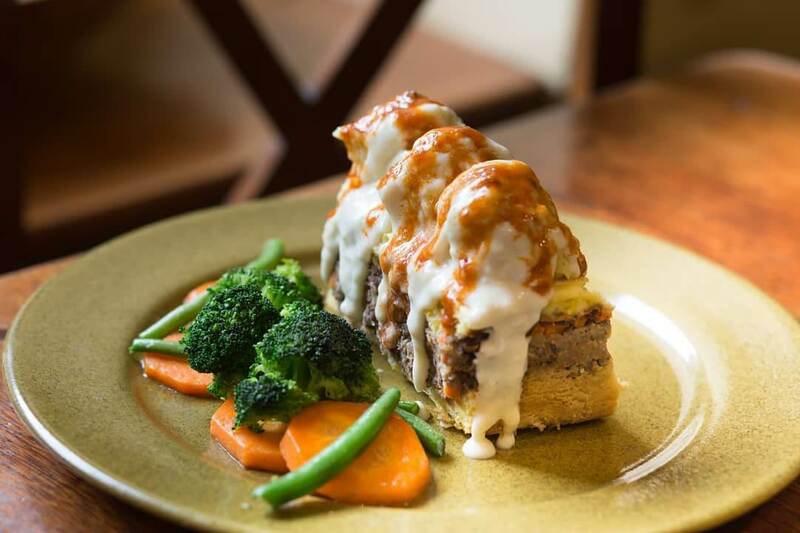 They serve breakfast all day long, but also have complete lunch and dinner menus with options including beef, chicken and veggie burgers, shepherd’s pie, green curry with chicken or tofu, and a classic grilled chicken Caesar. They even serve fantastic coffee straight from the Amazonian jungle. Prices are reasonable, and portions are large. It’s a great fit for the whole family. Impressed with the great food and excellent service, visitors from all over the world call this place a “hidden gem”. The atmosphere is warm, welcoming and relaxed—almost homey. Their homemade pastas, including their lamb ribs with ravioli, are a popular specialty. They also served the best alpaca steak I had in all of Peru. Next time I’m in Cusco I hope to try their breakfast. I heard great things about it from friends. Unsurprising based on the name, this restaurant specializes in all things seafood, especially ceviche. 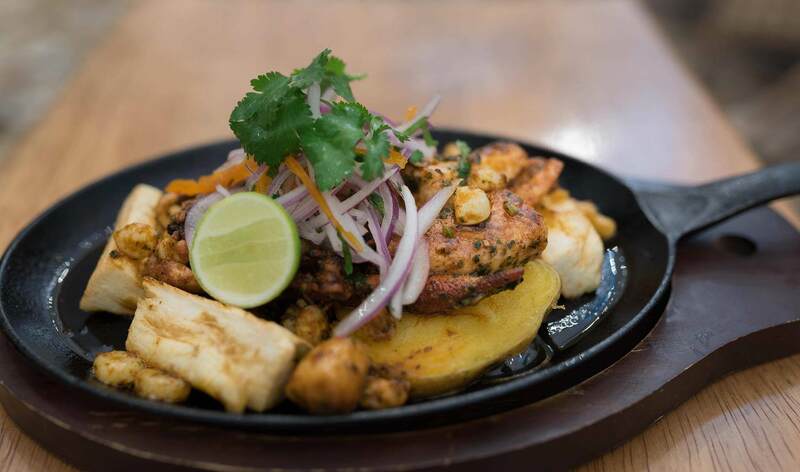 In addition to five types of ceviche, you can also find local specialties, such as causas made with your choice of prawns, avocado or mixed seafood, Peruvian soups and stews made with seafood, fried mixed seafood plates, or grilled mixed plates (if you’re in the mood for something lighter). Their exceptional representation of the country’s national dish has received hundreds of glowing reviews. Visitors from around the world rank it as the best seafood ever. Many locals will even tell you it is the best ceviche they’ve ever had. 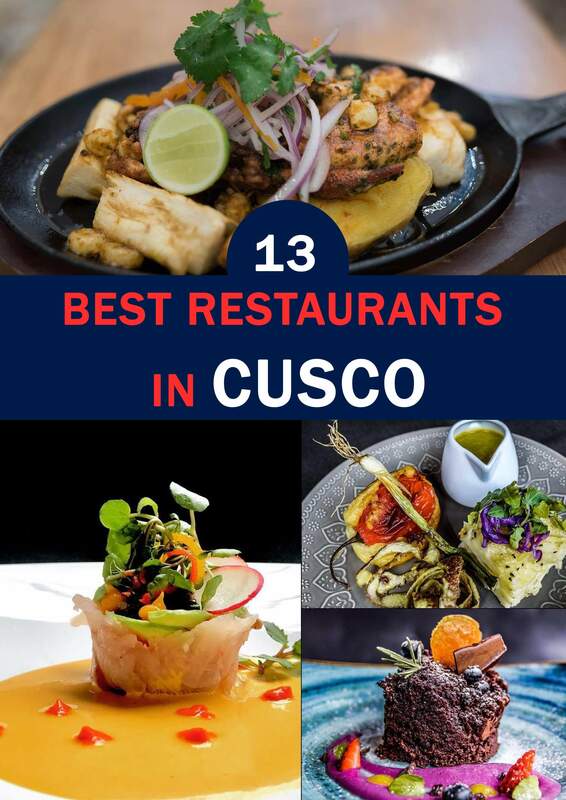 With so many experiences like these, Ceviche Kitchen easily makes this list as one of the best restaurants in Cusco. Located in the Plaza San Blas, you’ll find the Meeting Place quaint, classy, and comfortable. True to the name, they offer a great setting to meet with friends for coffee or even spend the day working. Foodwise, they serve American style breakfast all day and lunch in a traveler-friendly environment with excellent service. Menu favorites include veggie burgers, an English breakfast, chocolate banana waffles, or a healthy fruit and granola bowl for a light start to the day. If do choose to dine at The Meeting Place, you will also be supporting local community projects. The Meeting Place puts 100 percent of their profits back into projects that make a difference in the lives of those in need. In order to maintain this level of support, they operate solely thanks to volunteers. 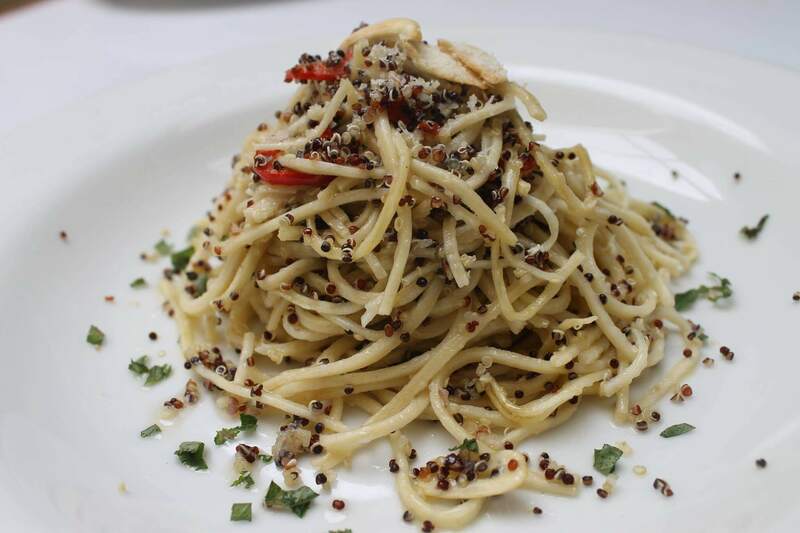 This Cusco restaurant is known as one of the best places in town for Italian food. 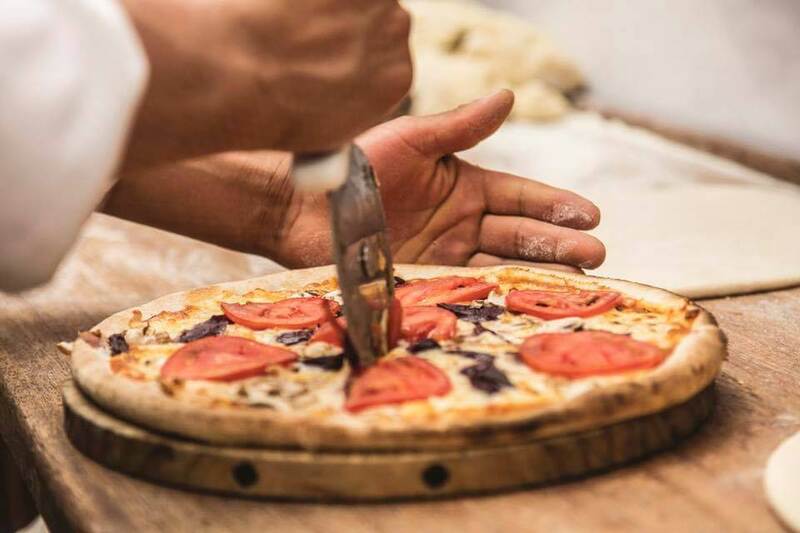 Their pizzas baked in a wood-fired oven are especially tasty. The only problem may be deciding on which pizza to order. With more than thirty to choose from, one is bound to grab your attention. If not, you can always design your own. I suggest you start your meal with one of their impressive salads—we loved the signature La Bodega salad, but there are nine to choose from. 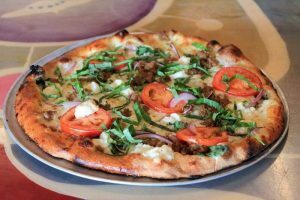 If you’re not in the mood for pizza, the menu features an impressive selection of pastas (including a trout gnocchi I’m dying to try on my next visit), seven different soups, calzones and even a weekend brunch menu. La Bodega is operated out of the owners’ childhood home. This special quality makes the whole experience feel so friendly, welcoming, and intimate. They continually strive to cultivate a family-friendly, “at home” vibe with their comfortable atmosphere, great music, and fresh, home-cooked food. Like many family-owned and run restaurants in Cusco, La Bodega partners with and donates to several organizations that benefit their community. 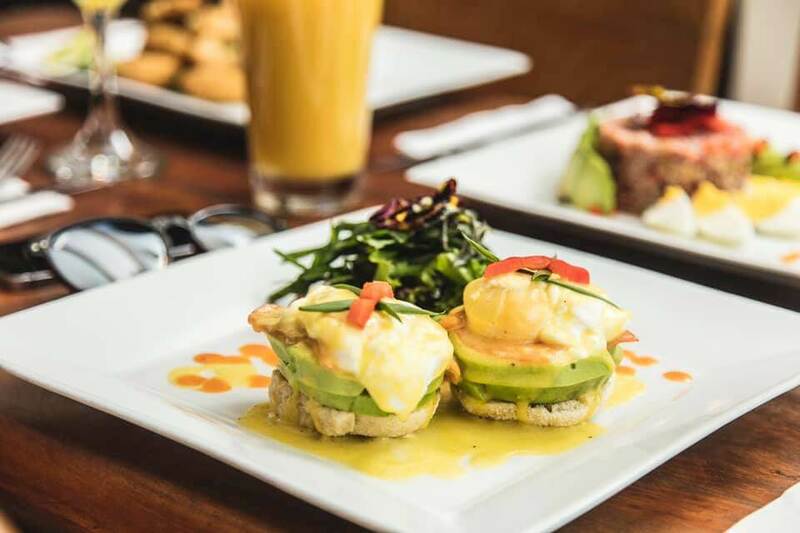 With Cicciolina’s “bread and breakfast” mornings, you can get a delicious breakfast complimented with fresh coffee and pastries from their artisan bakery. After a bigger meal or a fantastic night out? Check out their restaurant and bar for lunch or dinner. Cicciolina’s believe in making the whole dining experience, not just the food, exceptional. From the atmosphere to the wine, music, and service, everything here is top-notch. For this reason, they recommend you make reservations for lunch or dinner. Unless, of course, you’d rather dine at the tapas bar like I did. I recommend it for solo diners. The friendly staff knew the menu inside out and helped me make some great decisions. As I ate, I also enjoyed watching the kitchen staff crank out tons of homemade pasta . Speaking of the pasta, I had the cilantro pasta topped with pan roasted garlic prawn. And I highly recommend it. But honestly, I doubt you could go wrong with anything on their menu. As another twist on their great service, Cicciolina even offers picnic lunches. Enjoy a lovely lunch made with the region’s fresh produce. Indulge in a meal mixed with beautiful views of the Andes on a picnic you will never forget. 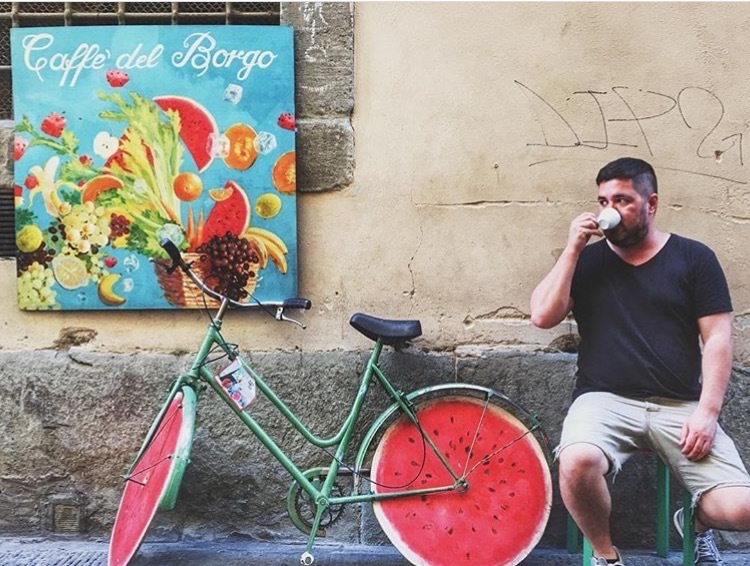 Baco offers a laid back and rustic setting with colorful paintings, decorations made from iron and wood, and fresh flowers. This sister restaurant of Cicciolina allows for a more casual and slower-paced dining experience. Here, you can hang out for hours and enjoy the warmth of their mud oven. The exquisite yet simple food will leave you wanting more. Menu favorites include the alpaca burger (which I loved), short ribs, and pizzas. If you’d like a glass or bottle to go along with your meal, Baco offers an impressive selection of wines at a very reasonable price. If you’d like something stronger, check out their craft cocktail menu. Which of these Cusco restaurants do you most want to try? Let me know in the comments section below!